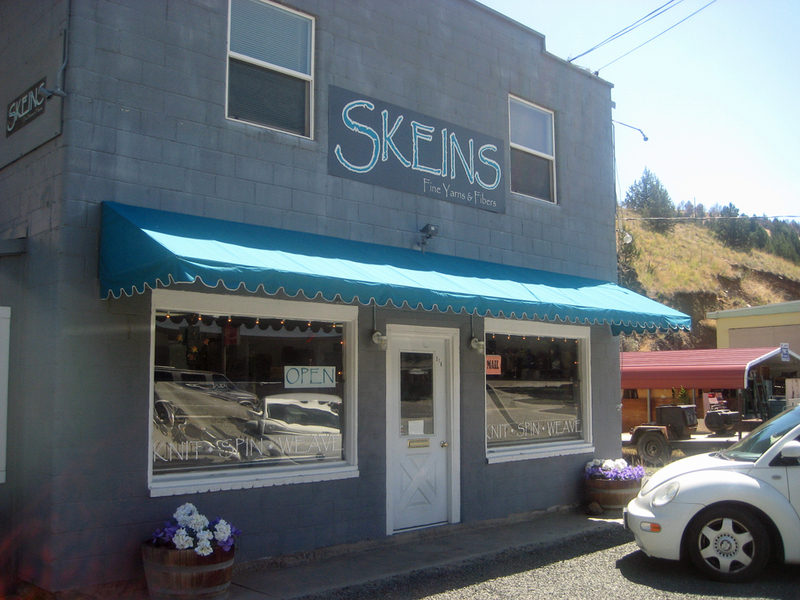 Skeins Fine Yarns & Fibers, John Day, Oregon! 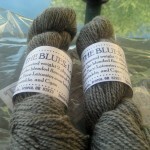 Yvonne, is a lady that lives in California, that I met over on Ravelry. I’ve know her for a while now. She is part of our facebook group and she’s also in our group over on Ravelry. She and her husband are on a road trip from California, over to Nevada, up Oregon, into eastern Washington, over to western Washington and then back down home to California. She emailed me this….I thought I’d share! 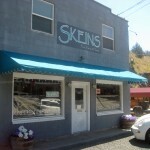 Had a lovely visit with Teresa Southworth at Skein’s in John Day, Oregon. 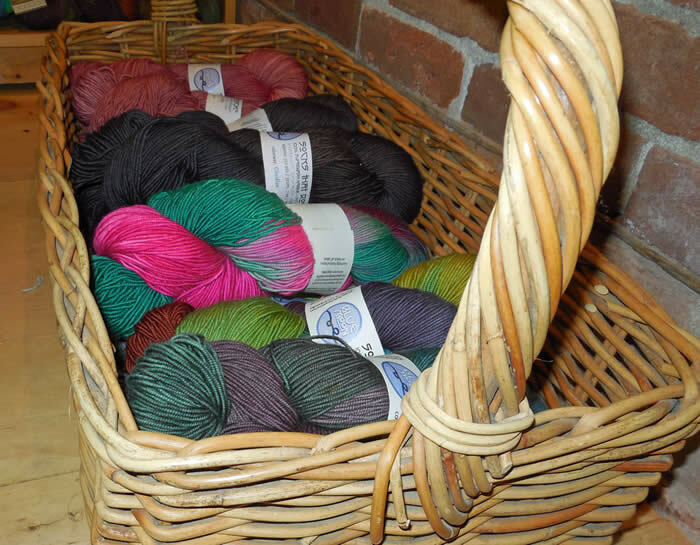 She sells lots lovely yarns from Crystal Palace, Cascade, Malibrigo, just to name a few. She also has roving and spinning supplies. 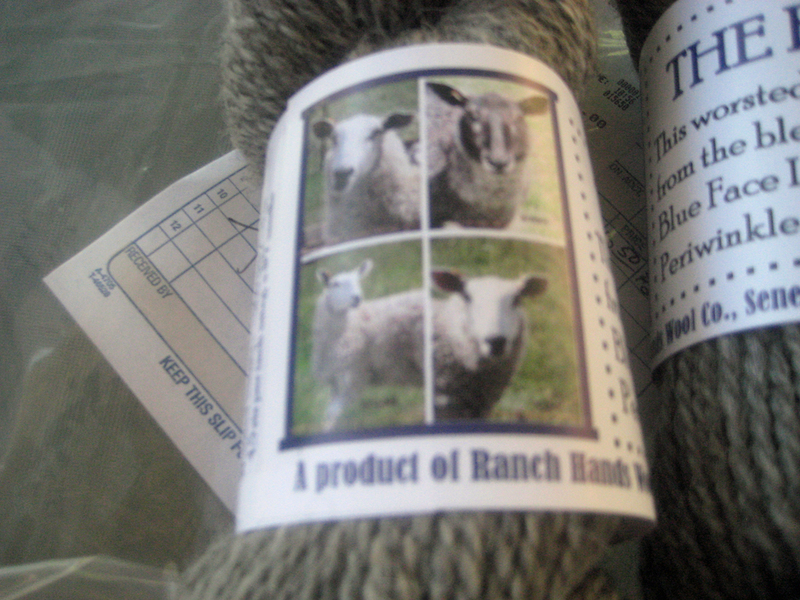 She lives in Seneca, which is just up the road, on a ranch where she has some BFL sheep. 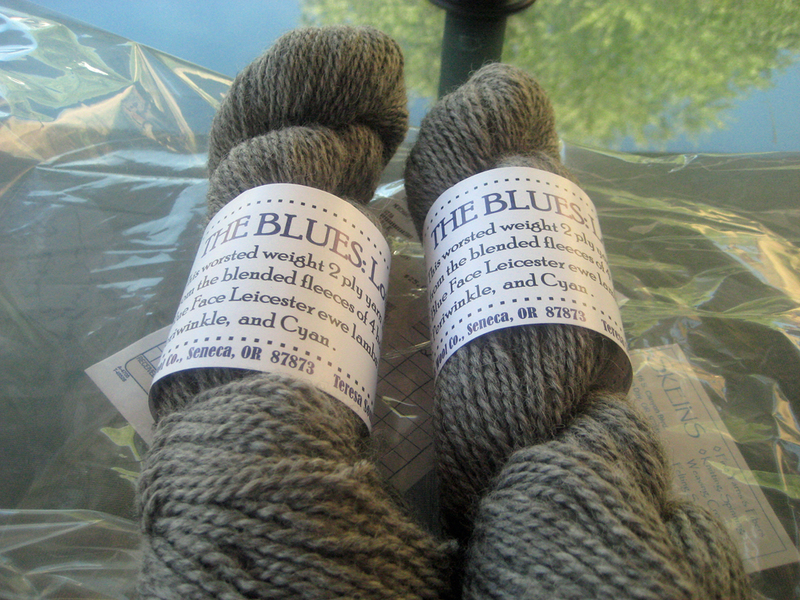 I bought some of the yarn made of wool that she sheared and sent to Yolo Mills in Davis CA to spin. 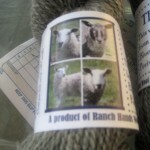 The yarn band even has a picture of the sheep. 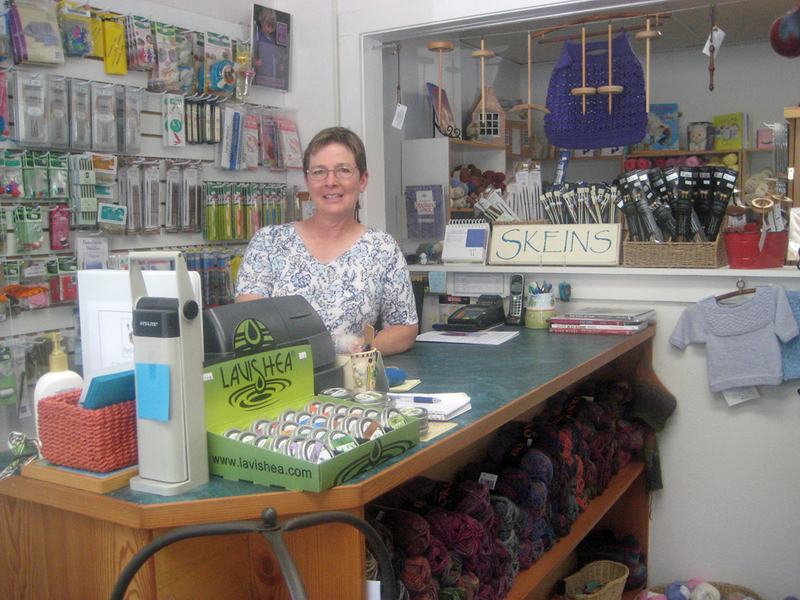 She has a woman who comes from Burn’s OR which is about 70 miles away about once a month to buy yarn for her knitting group! When I asked if I could take pic’s to send you she said she has spoken to you before and was tickled that I would send you pictures! We’re having a great road trip. Tonight we’re in Pendleton OR and I plan to go to a shop or two tomorrow before we leave for Walla Walla and Richland tomorrow.And of course I’ll check out whops in WW and the Tri Cities. 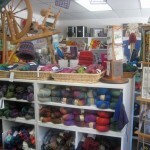 Some of the pic’s of the yarn are not too clear but the shop ones are good. Thank you Yvonne for thinking of America’s Knitting whilst on your trip. 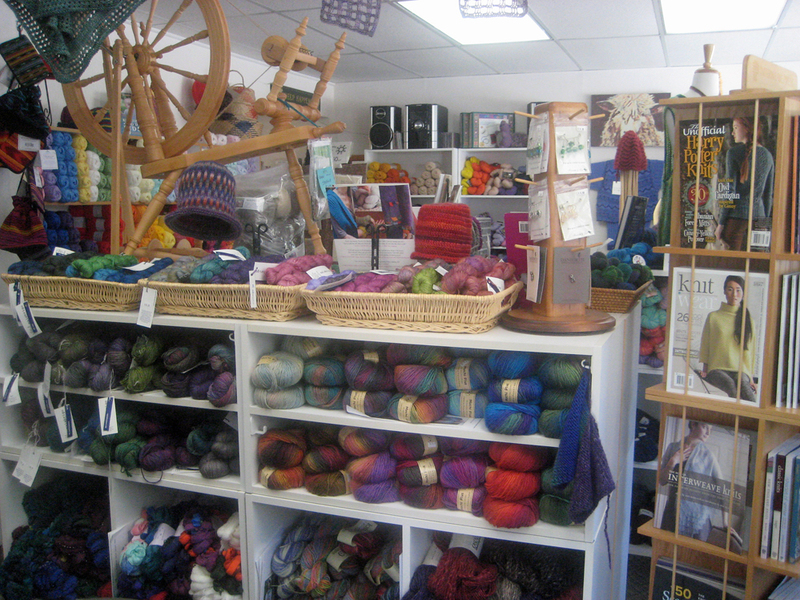 If you visit a new yarn shop, won’t you take some pictures for the website? I love the summer! This picture was taken in Port Townsend, Washington, when I visited Bazaar Girls. I’ve been having a case of startitise something fierce. In my mind, I see things being knit up at such a faster pace. Darn that “life” gettin in the way. I want to make everything. From the inspiration at my LYS, to what my friends are making to what I see in all the trade magazines and all the KAL’s on Ravelry. This kind of thinking gets one in trouble. If I keep this up, I’ll need to knit faster or develop witch craft! This blog is dedicated to projects I’m working on as well as projects of friend’s of America’s Knitting. Hope you find something new or inspirational here!